Many of us have seen a senior who is struggling in their home. Some seniors silently believe they have a whole network of support from family and friends. Daughters may call their mom once a day to inquire if their senior parent is okay OR no answer could mean they fell again and need help. A son may set up medications in a pillbox for his senior parent, and then call two or three times a day to make sure his parent has taken them. 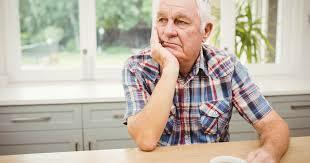 • Not being there in person twice a day to make sure the senior properly ingests the pills can be an issue. Kind neighbors may make an extra plate of dinner every night and take it to their senior neighbor. Daughters may spend every other Saturday or Sunday cleaning mom’s house, grocery shopping, and setting up her senior parent to successfully survive for another two weeks. • No matter how close or how far away the daughter lives, this type of help eventually turns into every Saturday or Sunday. If the daughter works full time, then what? What is the answer to a senior struggling to manage in their home? It starts with patience and persistence. As soon as the struggle becomes apparent it is time to start a discussion. You may focus on how the current home is an injury trap, or worse for the elderly, but sooner or later its time to have “The Talk”. Knowing what to expect may make it a bit easier to prepare. Vista Living Senior Care is located in the Phoenix Arcadia area, between Scottsdale and Biltmore, and our team has helped seniors improve the quality of their life by making our purpose built, 10-resident luxury assisted living homes something special. No one ever chooses memory care or skilled nursing, but those may be the only options for many seniors who waited too long and ended up in a health care crisis needing 24/7 care and can never return home. We are part of your team, a team working hard to provide a high level of senior care, at an affordable price, in an enriching environment. We urge you to consider Vista Living Senior Care Arcadia for your family. Please schedule a tour of one of our purpose built 10-resident Luxury Senior Care Communities in the Phoenix Arcadia area. We know we have something special. Let us show you. For more information please call Vista Living Senior Care at our main line at (602) 456-1919 or email info@vistaliving.net and subscribe.